Nearly every city has its own rendition of a marathon, triathlon, extreme obstacle course or swim competition. It is prudent to treat these events, based on their anticipated size, number of participants, and viewing capacity, as predetermined MCIs, each requiring its own disaster plan and risk-mitigation procedures. Not every mass gathering will becomean actual MCI. Fortunately, at fixed venues that host professional sports teams and collegiate sporting events, the patient presentation rate is rela- tively predictable and usually low com- pared to nonfixed venues where events like music festivals typically take place. While there is always a concern that a mass gathering will become an MCI andproper disaster preparedness principlesshould be employed at every one, it is thankfully rare at fixed venues hosting sporting events. For EMS these events may require enhanced resources and more inten- sive preparations. Preventive measures may include multidisciplinary and inter- agency briefings, increased numbers of medical staff, and potentially a mobile trailer capable of providing emergencycare. The mobile emergency room trailercan have unique benefits at an MCI or mass gathering. We frequently use the term controlled envi- ronment in EMS and emergency medicine. That patient with epiglottitis needs to be intubated in a controlled environment, so they should be taken to the OR. To performprocedural sedation to reduce the dislocated shoulder, we need a controlled environment.Essentially a controlled environment is aclean, relatively sterile workspace where youhave the room, maneuverability, and equip- ment to handle the worst-case scenario. If you anticipate a range of patient pre-sentations from asthma to contusions, lacerations, and dislocated extremities, there is a medical advantage to having a controlled environment on site. It pro-vides room to treat all these patients in a humane environment, with each afforded the dignity, privacy, and appropriate care they deserve. The real mortality benefit arises when you begin treating the critically ill, whichis not infrequent at large mass gather-ings. Life threats can include hyponatre-mia leading to seizures, hyperthermia resulting in multiorgan failure, severe asthma exacerbation requiring ventila- tory support, excited delirium owing to drug-induced toxicity, cardiac arrhyth- mias, and, if not interrupted promptly, cardiac arrest. A mobile ER trailer allows multiple providers to access a patient in extremis. An EMS provider can obtain intravenousaccess in the upper extremities while another places the patient on a cardiacmonitor and obtains vital signs, while yet another is at the head, managing the air-way and comforting the patient. The mobile trailer typically features well-organized supply cabinets offering ready access to supplies. Additionally, they typically have proper licensing credentials to run point-of-care serum andurine analyses. Knowing the serum pH andpartial pressure of carbon dioxide will be useful in determining the criticality of the patient and responsiveness to therapy. Having cordoned-off private areas toexamine patients and obtain rectal tem- peratures will be important to determinewho has mild hyperthermia and who is severely hyperthermic, requiring a dunk in an ice-cold bath. In short, mobile ERtrailers provide a dignified, humane envi-ronment to treat every patient, but their biggest impact is seen with critically ill patients at an MCI. Mobile emergency room trailers shouldbe completely self-sustaining for the first 72 hours and equipped and staffed to manage minor to severe emergency medical conditions. Generally they can be operational quickly after arriving on site and can accommodate expandabletents to significantly enhance their surgecapacity. When infrastructure is dam- aged or capacity diminished, the needfor surge relief is immediate and may lastfor weeks. There are other positive aspects to staging medical crews at a mobile ER. Using trailers helps avoid overburdening other local healthcare resources not dedicated to the mass gathering. EMS (as well as police and fire), while having to deal with extra traffic and road closures, will have its same resources to respond and hopefully not have to divert units. The host community does not have to worry that its local hospitalwill be overrun and struggle to provide care. Some communities have experienced problems with local ERs that were ill-equipped to handle the excessive patients they saw from a mass gathering.Mobile ER trailers can dramatically cut down on the number of those transported to hospitals. Finally, mobile ER trailers give medical staff a place to congre- gate and escape from the elements and enjoy an opportunity to recharge. Whether they need to warm up, cool down, hydrate, or change clothes, on-scene medical providers are given a place to do it with dignity and respect, thus keeping them ready to handle any scenario that may arise. Matt S. Friedman, MD, FACEP, DABEMS, is associate medical director of prehospital care and director of the EMS clerkship at Maimonides Medical Center, Brooklyn, N.Y., and national medical director of CrowdRx Inc., New York, N.Y.
Connor B. Fitzpatrick, AEMT, is an AEMT instructor, ALS supervisor, volunteer pilot for Airlift Services, and Chief Operating Officer at CrowdRx Inc. In this era of routine terrorist attacks, devastating natural disasters and political unrest, it’s the million-dollar question plaguing the industry: How could this threat have been avoided? From eliminating foreseeable risks to being prepared for the worst, there’s never been a more critical time for event marketers to arm themselves with the intelligence and resources necessary to maintain safe and secure events. You’ll hear it over and over again. In the event of an emergency, especially a medical crisis, documenting the incident is vital to keeping insurance premiums in check and staff informed. CrowdRX. “It’s key to remember in medicine, if it’s not documented, it did not happen.” The reports can be as simple as a first aid log noting that you’re giving away Tylenol or Band-Aids. Remember to include the name, date of birth, phone number and what the attendee requested or needed. More advanced medical situations call for a detailed patient care report with an indemnity statement. “This is key to make sure your insurance premiums can be reduced as a result,” Fitzpatrick adds. 2. Find a Venue That Prioritizes Attendee Safety. When it comes to selecting a location for your event, make sure the venue is willing to do its part to communicate key messaging to attendees. Remember: if an incident occurs, cooperation will be key. 3. Establish a Chain of Command. Might sound like a no-brainer, but establishing exactly who is in charge of what and when can save precious minutes in an emergency. From brand ambassadors to event managers, everyone should be crystal clear about what their role entails. 4. Be Prepared for Anything and Everything. The uptick in terrorist attacks, including the Las Vegas shooting, which was executed from a hotel room and stands as the deadliest mass shooting in modern U.S. history, has many event marketers on edge. And while planning for these types of crises is essential, don’t assume that past tactics will be used at future events. “If the bad guy’s weapon of choice is a box truck, or a knife on London Bridge, or some other place where pedestrians are congregating, should there be a plan for that?” says Steven Adelman, partner at Adelman Law Group and vp of the Event Safety Alliance. 5. Implement an Attendee Screening Strategy. The approach may vary depending on your budget, but implementing an attendee screening process is a highly effective security measure that can be executed before the event even begins. 6. Enlist an Approachable Medical Team. Medical emergencies can, and do, occur at events of every variety, so having medical personnel on-site is crucial. Just as important is ensuring that the team is friendly enough for attendees to approach in the case of an emergency. Remember that uniformed first responders can be intimidating, especially in regards to drug-related incidents. 7. Keep Security Personnel Informed. Hiring security staff is a great start when it comes to maintaining a safe event, but communicating your event’s layout, including areas of concern, is absolutely essential to getting the most bang for your security buck. 8. Let the Pros Do the Talking. 9. Implement an Emergency Action Plan. When it comes to event safety and security, there is probably no more important document than your on-site emergency action plan. It’s an essential guide to navigating and preparing for foreseeable risks, informing event staffers of the appropriate safety protocol and ensuring insurance premiums don’t skyrocket. Every live experience is unique, so it’s important to establish priorities for taking action in a variety of emergency scenarios. If you fail to do so, you may find yourself in hot water with your employer, your insurance agency or the law. In an industry that prides itself on producing unforgettable experiences, the last thing you want burning in your attendees’ minds is how poorly your staff handled an emergency. So, be informed, be attentive and be prepared—but don’t let the process get you down. BALTIMORE (WJZ) — Baltimore’s largest outdoor concert kicks off this weekend. For two days, artists from across the world will entertain guests at the fifth annual Moonrise Festival being held at Pimlico’s Infield. A big focus will be on safety. Organizers tell WJZ they’ve made improvements from their past festivals and have a medical team on site to ensure everyone enjoys the event. More than 60,000 people are expected to attend this two-day dance party, and organizers want them to have fun and be safe. “Our water stations are better, they can serve more people over an amount of time, and have better medical planning and better safety planning,” said Moonrise event director Evan Weinstein. CrowdRx provides emergency care and serves as an on-site hospital to ensure concertgoers have a safe experience. Music will hit you from every angle at the festival. There are four stages, along with live pyrotechnics and more than 80 artists. While visitors focus on the entertainment, organizers will focus on everything else. A reminder for concertgoers to also be responsible to make this electronic dance music festival an enjoyable experience for everyone. More here. Every December since 2011, Jakarta, Indonesia hosts the largest music festival in Asia and, consequently, one of the largest mass gatherings. Once an underground warehouse rave, the Djakarta Warehouse Project was born out of tragedy. In 2010, a brawl at the original host venue left one dead and two injured two weeks before the event was scheduled. The bar was closed and the founders of the Ismaya Group were forced to find an alternate venue, spurring the birth of the first Djakarta Warehouse Project, better known as the DWP. Today, the DWP has the largest cumulative attendance of any electronic dance music (EDM) festival in Asia. DWP is a well-organized event with a reported attendance of 90,000 people in 2016, 30 percent of whom were foreign nationals. It is held in an outdoor venue with a hard fence boundary with controlled ingress and egress points which helps with security measures such as limiting weapons, recreational drugs and alcohol. The most recent DWP took place in December 2017 over two consecutive days in Jakarta, which is located in the Southeast Asian tropics. Indonesia is the fourth most populous country in the world as well as the most populous Muslim-majority country. Typical ambient temperature is approximately 80 degrees Fahrenheit overnight in Jakarta. Performers ran the gamut across different EDM niches and included well-known names such as Steve Aoki, Hardwell, Flume, Tiesto and Marshmello. It appeared to be a typical music festival that would take place on any other continent, which was surprising considering the purported strict Muslim culture in Jakarta that prohibits alcohol and drug use. For example, under Article 59 of Indonesian Law No. 5 of 1997 on psychotropic drugs, the use, production, possession or trafficking of psychotropic drugs “as an organized crime” is punishable by death. However, the number of death sentences handed down has decreased in recent years. Right: As the night begins, a Paramedic wearing a hijab stands watch over “Main Medical” which is a fixed structure with adequate lighting, staffing and cots. According to a Jakarta police spokesperson, 1,000 police officers were deployed to guard the event, which en- counters protesters from right wing religious groups who have deemed it immoral. Additionally, city administration officials dispatched a surveillance team to report on the consumption of drugs and alcohol. The observed crowd was almost universally engaging in alcohol consumption, at times in excess. Additionally, there seemed to be a large percentage of attendees engaging in illicit recreational drug use. Several attendees confirmed that greater than 50% of their friends who attend these festivals use recreational synthetic “club” drugs. MDMA (Methylenedioxymethamphetamine) and ketamine are the drugs of choice in Indonesia and are relatively easy to purchase on the street. MDMA – “Molly” in crystal or powder form and “Ecstasy” in pill form – is an entactogen, a psychoactive drug that differs from psychedelics or hallucinogens such as LSD and amphetamine or stimulants such as methamphetamine. Entactogens produce euphoria, increased empathy and enhanced sensation and perception, but can also cause agitation, tachycardia, hypertension, seizures, hyper- thermia, and cardiac arrhythmias. While chemically related to both psychedelics and stimulants, MDMA typically differs from psychedelic drugs and stimulants because of its psychological effects like emotional com- munion with others and empathy. Ketamine’s effects include hypnosis, analgesia, hypertension, tachycardia, agitation, hallucinations, anxiety, and psychosis. While the use of recreational ketamine is seen globally, it appears to be more common in East and Southeast Asia because of its relatively low price. Despite the reported widespread use of recreational drugs, very few attendees had adverse effects that required medical treatment or transport to the hospital. The medical team that keeps DWP attendees safe confirmed that no fatalities have occurred over the last several years and very few attendees require transport to the hospital during these mass gatherings. Left: Numerous “Anti-Drug” signs appear throughout the festival, which do not appear especially ominous given Indonesia’s strict death penalty for drug traffickers and life imprisonment for possession. Medical care at DWP was provided by a local Indonesian for-profit event medical company. Approximately 275 patients were evaluated each night at DWP. Fifteen general practitioner physicians and 50 paramedics were staged at five medical tents that varied in size. Of note, a paramedic in Indonesia has the same prehospital skills as an EMT-Basic, although they also function as nurses in the hospitals. Main medical was a large fixed structure with approximately 40 cots ready for use with optimal lighting, climate control, and egress. Medical care largely consisted of BLS care such as wound care, splinting, and administration of over-the-counter medications and oxygen. Physicians on-site treated the more severe alcohol and drug intoxications with B12 and a normal saline intravenous infusion. There was no on- site point of care analysis or advanced diagnostics. If further chemical sedation was required or more advanced therapeutic interventions were necessary, an anesthesiologist would respond from the hospital to the event. Fortunately that has not been necessary in the last several years. Large signage, set up by event promoters, noting “Medical” at the five tents were well lit and easily identifiable from multiple positions in the venue and the public perception of care was generally positive. Despite the large attendance of young adults who were purportedly engaging heavily in alcohol use and recreational illicit drug use, there were few critical patients. Two critical patients exhibited signs of ‘Excited Delirium’. Such patients are at risk for life-threatening psychostimulant drug-induced toxicity, which occurs secondary to psychostimulant use while performing intense physical activity, such as dancing. Symptoms include hy- perthermia with core body temperature ≥ 40.5°C (105°F) and changes in mental status such as agitation, delusions, hallucinations, seizures, or coma. While these two patients were certainly at risk for this, they were not hyperthermic. For comparison, in a prospective analysis of patients presenting to a large EDM festival in New York, four out of 84 enrolled patients (5%) were hyperthermic. While in the United States, Excited Delirium patients are typically rapidly chemically sedated to prevent further hyperthermia, rhabdomyolysis, ARDS and other end-organ damage, the medical staff at DWP allowed the patients’ friends to attempt to calm or physically restrain them for an extended period of time. One of the two critical patients was trans- ported to the hospital while the other was observed on site. In the event transport to a hospital is necessary, DWP relies on the “118 Emergency Ambulance Service” also known as the “Ambulans Gawat Darurat” (AGD) – the only public ambulance service in Indonesia. It is headquartered in Jakarta and is analogous to 911 in the United States, but unlike 911, 118 is not government funded and charges those who can afford to pay. The 118 call center in Jakarta receives about 50 to 75 calls per day, despite a population of more than 10 million. For comparison, in New York City, with a population of 8-12 million depending on the time of day, there are approximately 4,000 911 calls each day. To make matters worse, the AGD is severely underfunded and only owns 43 ambulances with average response times of 37 minutes, compared to ten minutes in the United States and seven minutes in Japan. The poor infrastructure and resources available to respond to medical emergencies make extensive on-site medical care crucial in order for DWP to continue to treat their injured and sick attendees in a timely manner. Right: An AGD ambulance stands by on-site as average response times have soared to 37 minutes in Jakarta, compared with 10 minutes in the U.S. and 7 minutes in Japan. DWP is a well-attended, well-organized music festival that seemed to be similar in size and scope to the various music festivals that occur annually within the United States. There were many young adults having fun, dancing and engaging in both excessive alcohol use and other illicit recre- ational drugs. At DWP, ketamine and MDMA were the drugs of choice. The medical care offered at DWP, despite having adequate light, room and staffing, seemed to offer less intensive and aggressive care than is offered at United States music festivals. Alison Leung MD is a second year emergency medicine resident at Maimonides Medical Center. REFERENCES ONLINE AT EPMONTHLY.COM – Click here to read more! CNN’s Lisa Ling discusses music festival medical coverage with CrowdRx’s Dr. Andrew Bazos. Lisa follows CrowdRx’s Connor Fitzpatrick and team while providing their music festival medical services and expertise at Mysteryland. Exploring how CrowdRx is working to make EDM festivals safer for all. Fans of EDM music love hearing the oontz-oontz and getting glitter bombed. They do not necessarily find the guy standing next to an ambulance as interesting. Andrew Bazos, MD, CrowdRx founder explains why it’s important to promote health and safety as well as events. Event Medical and Security Consultant Dr. Andrew Bazos discusses security measures and protocol to help curtail the use of Ecstasy and other drugs at EDM festivals. 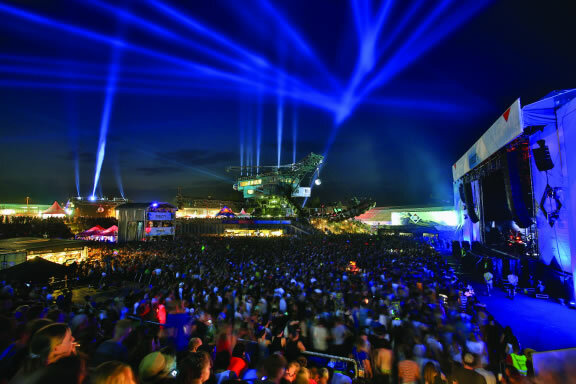 Making raves safer for participants makes them more consumable for corporate sponsors. 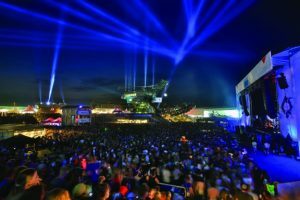 Following a spate of highly publicized drug related incidents, safety and security has taken center stage for American show promoters. Taking a page from the European electro scene, American promoters are shifting to more comprehensive, long-term strategies, such as peer-based crisis management and drug education to reduce drug-related incidents at festivals. According to Dr. Bazos, Chairman of the SFX Medical and Safety Committee, these tactics among others have worked well recently in the U.S. with SFX’s entire 2014 run of festivals.